Hello people of the internet!!! On today’s ‘YouTube Wednesday’ we’re going to talk about an AMAZING musician that you need in your life. 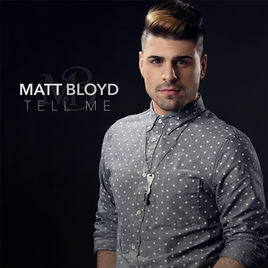 If you’ve never heard of Matt Bloyd then you need to sit down, grab you a snack, & get ready to have your mind blown! Ready? Ok, let’s go!!! The first video we’re going to discuss is Matt’s ‘Have You Ever?- Brandy cover by Matt Bloyd, Mario Jose, and Vincint Cannady’, which was uploaded on April 22nd, 2016. In this video we not only get to see Matt’s phenomenal vocals, but also his amazing ability to perfectly harmonize with anybody. Next up we’re going to check out Matt’s ‘I Have Nothing – Whitney Houston cover’ video, which was uploaded on August 9th, 2016 (you can check out this video below). Honestly every time I listen to this cover I am left speechless. The tone, pitch, & pure musical ability that is shown in this cover is just mind blowing. This is a cover that you just need to hear to believe, so please do yourself the biggest favor ever & listen to it right now. Now we’re going to talk about Matt’s ‘Too Good at Goodbyes – Sam Smith’ cover which was uploaded on September 9th, 2017. Once again we get to see just how insanely talented of a vocalist Matt is. In this song we really get to see how well Matt can handle an emotionally charged song like this one. He will seriously give you all the feels with this cover, & honestly make you ugly cry for hours. The last video we’re going to talk about is Matt’s ‘Bless the Broken Road’ cover which was uploaded on August 30th, 2018 (you can check out the cover below). Again this is a cover that will leave you completely speechless. Honestly I’ve listen to a lot of cover by a lot of artists over the years & Matt is by far one of the best vocalists I’ve very heard on YouTube. The way he can take a song like this one, make it his own but still keep the emotional depth of the song intact is nothing short of spectacular. Seriously as soon as this guy’s voice hits the radio he will be one of the biggest male artist in the music industry. DO NOT sleep on this guy y’all because he will definitely make music history one day & you’ll want to say you heard about him first. All photos and information used in this blog belong to YouTube, Twitter, Instagram, Spotify, Facebook, Matt Bloyd, Atlantic Records, Diane Warren, David Foster, Brandy, Whitney Houston, Linda Thompson, Sam Smith, James Napier, Tor Hermansen, Mikkel Eriksen, Capitol Records, Arista Records, Marcus Hummon, Bobby Boyd, Jeff Hanna, Columbia Records, Liberty Records, and all companies, individuals, corporations, managers, writers, producers, authors, publishers, and/or businesses that should receive credit for any book(s), mentioned in this blog post, all of the and all companies, individuals, corporations, managers, writers, producers, and/or businesses that should receive credit for anything mentioned in this blog post, and all original owners. I do not own anything in this blog. If any people, corporations, businesses, companies, etc, were not previously given credit for their work, they are given credit now and their previous absence was unintentional. All opinions expressed in this blog are my own. I wrote this blog for entertainment purposes and no copyright infringement is intended. celindareyesblog October 12, 2018 No Comments on YouTube Wednesday: Matt Bloyd…the vocalist that is about to take over your life. Category: YouTube Wednesday. Tagged: Arista Records, artist, atlantic records, Bobby Boyd, Brandy, Capitol Records, Columbia Records, country, David Foster, Diane Warren, facebook, instagram, James Napier, Jeff Hanna, Liberty Records, Linda Thompson, Marcus Hummon, Matt Bloyd, Mikkel Eriksen, music, new, pop, r&b, Sam Smith, singing, soul, Spotify, the four, Tor Hermansen, twitter, Whitney Houston, youtube. Hello people of the internet!!! 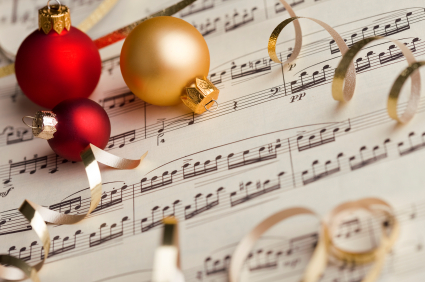 On today’s ‘YouTube Wednesday’ we’re going to talk about everyone’s favorite part of Christmas…the music! It’s always so much fun to hear our favorite Christmas songs covered by amazing artists, so I thought that it would be fun to countdown ‘The Top 3 Christmas Covers of 2015’. 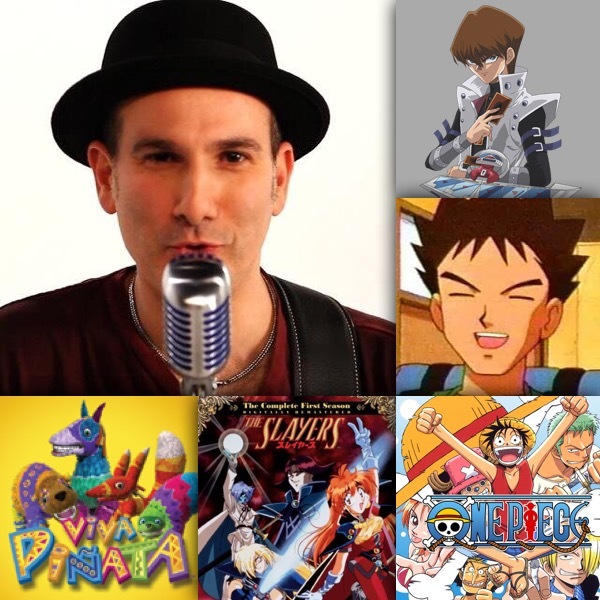 One of these covers isn’t from an actual YouTube artist, but it was so amazing that I just had to include it. So now let’s get to the music! Ready? Ok, let’s go!!! The first cover that we’re going to talk about is Jason Chen, Marie Digby, and Ana Free’s cover of Silent Night. This is a true Christmas classic that has been covered by numerous artists, but never gets old. I really love his cover because we get to experience 3 amazing vocalists who are able to show us a unique rendition of this song that you will definitely not forget. Ok I have to admit that I’m soooo obsessed with this cover, and trust me after listening to it you will be too! If you have heard any of Kurt Hugo Schneider’s covers then you know that he makes beautiful and brilliant musical arrangements, however this has to be one of his best ideas ever. ‘All I Want For Christmas is You’ is already an amazing song that we all love, but performing the entire song in a minor key gives the song a hauntingly beautiful quality that will have you pressing that replay button again and again. Now we’ve reached the #1 spot! Although Jordan isn’t a YouTuber, I couldn’t resist putting this INCREDIBLE cover on the list. This rendition not only shows off Jordan’s amazing talent and range as a vocalist, but also shows us that he is a true entertainer that can instantly mesmerize his audience. As soon as you see this incredible cover you will seriously want to hop over to iTunes and buy it because it is so insanely beautiful. The only thing that you will be left wondering after hearing this cover is how is he going to top this amazing performance. I know we all can’t wait to see! All photos and information used in this blog belong to YouTube, thetimesweekly.com, Jason Chen, Marie Digby, Ana Free, Franz Xaver Gruber, Joseph Mohr, Kurt Hugo Schneider, Chase Holfelder, Mariah Carey, Columbia Records, Walter Afanasieff, Jordan Smith, The Voice, NBC, John de Moi, Mark Burnett, Audrey Morrissey, Stijn Bakkers, Lee Metzger, Ashley Baumann, Amanda Borden, Carson Daly, Keith Dinielli, May Johnson, Bart Kimball, Michael Matsumoto, David Offenheiser, Dan Paschen, Kyley Tucker, Teddy Valenti, Warner Horizon Television, Mark Burnett Productions, One Three Media, United Artists Media Group, Endemol Group, Talpa, Tien, Warner Bros. Television Distribution, Mark Lowry, Buddy Greene, Michael English, Gaither Vocal Band, all of the people, corporations, businesses, companies, etc mentioned and/or shown in any hauls and/or any videos used and/or mentioned in this blog post, and all other original owners. I do not own anything in this blog. If any people, corporations, businesses, companies, etc, were not previously given credit for their work, they are given credit now and their previous absence was unintentional. All opinions expressed in this blog are my own. I wrote this blog for entertainment purposes and no copyright infringement is intended. celindareyesblog December 18, 2015 No Comments on YouTube Wednesday: The Top 3 Christmas Covers of 2015. Category: YouTube Wednesday. Tagged: 2015, Amanda Borden, amazing, Ana Free, Ashley Baumann, Audrey Morrissey, Bart Kimball, best, Buddy Greene, Carson Daly, Chase Holfelder, christian, christmas, Columbia Records, country, Dan Paschen, David Offenheiser, Endemol Group, Franz Xaver Gruber, Gaither Vocal Band, happy, incredibly, indie, inspirational, Jason Chen, John de Moi, Jordan Smith, Joseph Mohr, Keith Dinielli, kurt hugo schneider, Kyley Tucker, Lee Metzger, mariah carey, Marie Digby, Mark Burnett, Mark Burnett Productions, Mark Lowry, May Johnson, merry, Michael English, Michael Matsumoto, music, nbc, One Three Media, pop, rock, Stijn Bakkers, Talpa, Teddy Valenti, the voice, thetimesweekly.com, Tien, top 10, United Artists Media Group, Walter Afanasieff, Warner Bros. Television Distribution, Warner Horizon Television, youtube, youtuber. Hello people of the internet!!! 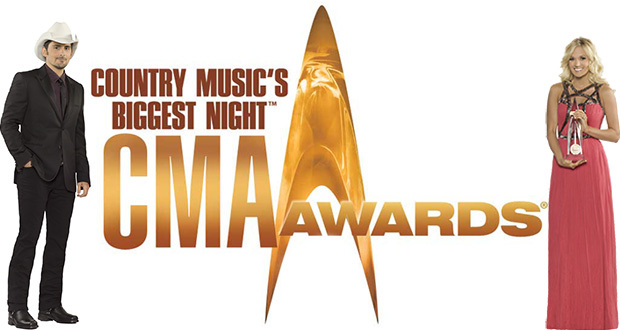 On today’s ‘Monday Memos’ we are going to recap the 2015 CMA awards. The show was full of funny moments, awesome awards, and most of all, great music. Once again Brad Paisley and Carrie Underwood did a great job as the show’s hosts, and left us all laughing during their opening monologue. In the monologue they recapped some of the hottest pop culture stories from this year including: Donald Trump, man hair buns, the Ashley Madison scandal, the divorces of Blake Shelton and Miranda Lambert, as well as Kermit and Miss Piggy, and a shout out to country music legend Little Jimmy Dickens who passed away earlier this year. The night was definitely filled with unforgettable moments that made this year’s show the best one yet. Now let’s move on to the awards and then the music. Ready? Ok, let’s go!!! This song was insanely popular this year, so it’s easy to predict that it would take home this win. This song really shows the progression of Little Big Town as a band and will leave us all exited to see what they do next. We’ve already covered how amazing this song is so let’s keep going. Ok? Ok. If you had never heard of Chris Stapleton before the CMAs, then you DEFINTELY know who he is now. Once we got to see Chris perform at the show (which we’ll talk about later), it was easy to see that he definitely deserves this award (if you didn’t see his performance, you HAVE to check it out below, this video only shows one of the songs, but it’s AMAZING!). If you listened to country music radio this year, then you heard Florida Georgia Line A LOT. The duo has had impressive numbers ever since they first hit the music scene, and that momentum has not stopped. Although this was a tough category, FGL proves time and time again that they deserve this honor. This was another really tough category, but ‘Traveller’ peaked at #1 on the U.S. Billboard 200 list, and at #2 on the U.S. Billboard Country chart. With all of the extra exposure that Chris got during the CMAs, we can only expect that his next album will do even better. With such an amazing year and an impressive winning streak at the CMAs this year, it’s easy to see how Little Big Town won this award. For years now Miranda Lambert has been an unstoppable force in the music world, and this year was no exception. This year Miranda released 2 singles from her 2014 album ‘Platinum’ called: ‘Little Red Wagon’ (which has sold 432,000 downloads in the US) and ‘Smokin’; and Drinkin’ (which features the night’s big winner Little Big Town). Between his performance at the show, and big win as New Artist of the Year, I don’t think we even need to explain this win. For the past few years Luke Bryan has been another unstoppable force in country music, and is definitely someone you’ve heard all year long. This year Luke released his newest album ‘Kill the Lights’ (and the 2 singles from ‘Kill the Lights’), which peaked at #1 and #2 on numerous Billboard charts in numerous countries. Because of all of the buzz that this song has gotten in 2015, this was a very highly anticipated performance that definitely lived up to the hype. The performance featured all of the members of the group on stage with soft lighting that went from blue, to gold, to red, etc. The song was amazing and definitely showed off the group’s beautiful vocal skills. This recap just wouldn’t be complete if we didn’t talk about the amazing performance from one of the night’s hosts Carrie Underwood. The performance was very cool and really raised the energy of the show. Not only did we get to see Carrie’s phenomenal vocal abilities, but we also saw her awesome guitar skills. We couldn’t finish the recap without discussing one of the night’s most talked about performances. The overall number was very cool and had an interesting pop/soul meets country vibe that made it the most uniquely awesome number of the night. It was cool to see Justin Timberlake at the show because he definitely kept the energy of the night up, and we also got to see what a great showman Chris Stapleton is, so it was a certainly a can’t miss performance. This was a really fun number that really showed off Brad Paisley’s charisma and natural stage presence. The number included the mascots from numerous colleges, which really hyped up the crowd and made the number truly unforgettable. This performance really showed that not only is Brad an amazing host, but is also an all around phenomenal entertainer. This was another highly anticipated performance that had the internet buzzing all night. Miranda looked awesome with her new pink hair and matching pink guitar, the number was very energetic and proved that Miranda is an entertainer that we can trust to never disappoint us. This has to win the award for most anticipated performance of the night. Reba McEntire and Brooks & Dunn each performed 2 of their big hits, which left the crowd in awe from beginning to end (you can check out a performance of one of these songs below). It’s not often that we get to see two iconic acts perform together, so this number really made this year’s CMAs unforgettable. This was the last performance of the night, and really left the show on a high energy note that was the perfect way to end such an amazing celebration of country music. All photos and information used in this blog belong to CMA Awards, Donald Trump, Ashley Madison, Blake Shelton, Miranda Lambert, Kermit, Miss Piggy, Little Jimmy Dickens, Jim Henson, Steve Whitmire, Bonnie Erickson, Frank Oz, Eric Jacobson, Little Big Town, Capitol Records Nashville, Interscope Records, Lori McKenna, Hillary Lindsey, Liz Rose, Jay Joyce, Chris Stapleton, Florida Georgia Line, Republic Nashville, Mercury Nashville, Universal Music Group Nashville, Dave Cobb, Miranda Lambert, Luke Bryan, RCA Records Nashville, Carrie Underwood, Arista Nashville, Chris DeStefano, Jay Joyce, RCA Records, Timbaland, Shawn Carter, Timothy Mosley, Jerome ‘J-Roc’ Harmon, James Fauntleroy, Epic Records, Dean Dillion, Linda Hargrove, Billy Sherrill, Brad Paisley, Chris DuBois, Kelley Lovelace, Luke Wooten, Miranda Lambert, Reba McEntire, Brooks & Dunn, MCA Records, Sandy Knox, T.W. Hale, Tony Brown, nashville.com, Ronnie Dunn, Terry McBride, Kix Brooks, Tony Brown, YouTube, ABC, ABCEntertainment, IdolxNews, and all other original owners. I do not own anything in this blog. If any people, corporations, businesses, companies, etc, were not previously given credit for their work, they are given credit now and their previous absence was unintentional. All opinions expressed in this blog are my own. I wrote this blog for entertainment purposes and no copyright infringement is intended. celindareyesblog November 10, 2015 1 Comment on Monday Memos: 2015 CMA Recap. Category: Monday Memos. Tagged: 2015, abc, ABCEntertainment, Arista Nashville, Ashley Madison, award, Billy Sherrill, blake shelton, Bonnie Erickson, brad paisley, Brooks & Dunn, Capitol Records Nashville, carrie underwood, Chris DeStefano, Chris DuBois, Chris Stapleton, cma awards, country, Dave Cobb, Dean Dillion, Donald Trump, Epic Records, Eric Jacobson, florida georgia line, Frank Oz, Hillary Lindsey, IdolxNews, Interscope Records, James Fauntleroy, Jay Joyce, Jerome 'J-Roc' Harmon, Jim Henson, Kelley Lovelace, Kermit, Kix Brooks, Linda Hargrove, little big town, Little Jimmy Dickens, Liz Rose, Lori McKenna, luke bryan, Luke Wooten, MCA Records, Mercury Nashville, miranda lambert, Miss Piggy, music, radio, RCA records, RCA Records Nashville, Reba McEntire, Republic Nashville, Ronnie Dunn, Sandy Knox, Shawn Carter, Steve Whitmire, T.W. Hale, Terry McBride, Timbaland, Timothy Mosley, Tony Brown, Universal Music Group Nashville, youtube. Hello people of the internet!!! On today’s ‘YouTube Wednesday’ blog post, we are going to discuss a new singer/songwriter who will definitely make a splash on the country music scene this year. Hannah Jane Lewis is an INCREDIBLE musician with the vocal ability and artistry to completely take the music industry (and your radio) by storm. In fact, in August of 2014, she was featured in an article by the Wall Street Journal, who compared her music to country music superstar Taylor Swift. She has also played gigs at the C2C Festival at the O2 Arena (in England) as an opening act for pop duo Jill and Kate. Hannah returned to the O2 Arena to play at The London Sundance Film Festival. She has also played an extended tour in association with the charity Life Skills Education, which is an organization which assists teens in learning how to deal with cyber bullying/online safety. Impressive resume so far! With several AMAZING covers and infectious original songs, you will certainly find yourself replaying Hannah’s songs for weeks. So…let’s jump into the blog post. The first cover song that we’re going to discuss U.S. Hannah’s version of Blessed The Broken Road by Rascal Flatts (which was uploaded on July 8th, 2013 you can check out the video for this cover below). This is the first video on Hannah’s channel that I saw, and it instantly blew me away. I love that this cover shows how well she is able to control her vocals, while playing guitar (which is really hard because it involves thinking about way too many things at once). I also really enjoyed the fact that Hannah was able to show that she can emotionally connect with a song, which is an essential asset in music. This video really shows that she has the talent and heart to become a country music superstar. The next cover we’re going to talk about is Hannah’s rendition of Say You Love Me by Jessie Ware, which was uploaded on October 21st, 2014 (here’s a link to the cover: Say You Love Me – Jessie Ware (Hannah Jane Lewis Cover). Once again Hannah is able to showcase her ability to control her vocals, and we are truly able to see her capabilities as a vocalist. She also shows that she can cover a song in such a way that keeps the original vibe of the song, but also always Hannah to make it uniquely her own by adding he own style. I love that we are able to see Hannah perform a song that is in a genre other than country music (even though she KILLS it in that genre), because we’re able to see all of the layers of her artistry. Next let’s move on to Hannah’s original music! The first original song that we’re going to talk about is Hannah’s song Seventeen Again, which is the lead single off of her debut self-titled EP (which was released on November 10th, 2013, you can check out the official music video below). This is an energetic song about looking back on life and wishing that you weren’t in such a hurry to grow up (preach girl!). This song also talks about living every moment of life to the fullest, and appreciating the beautiful things in our lives that we may take for granted. The next song we’ll going to talk about is Hannah’s song First Time Feeling, which is off of her EP Run With You, that was released on January 18th, 2015 (here’s the link to the music video Hannah Jane Lewis | First Time Feeling – Official Music Video). This is a fun song about first love, and how it can often stay with you even after it’s over. This is definitely the perfectly song to blast when your relationship ends but you don’t want to be sad (or everyone around you is tired of hearing sad songs on repeat). The majority of Hannah’s songs seem to be upbeat and fun, which is definitely a reason why you’ll want to check out both of her EPs. If you love country music that is fun, energetic, and has a lot of heart and soul in the lyrics, then you’ll definitely wanna to add these songs to your playlists. All photos and information used in this blog belong to YouTube, Twitter, Instagram, Facebook, Hannah Jane Lewis, Wall Street Journal, Taylor Swift, C2C Festival, O2 Arena, London Sundance Film Festival, Life Skills Education, Rascal Flatts, Lyric Street Records, Mark Bright, Marty Williams, Island Records, Jessie Ware, Ed Sheeran, Benny Blanco, Ben Ash, BenZel, For The Record Productions, Sam Johnson, Dan Waine, Tommy Reynolds, Shaun Reynolds, Dino Fetscher, Gareth Cobb, The Fold Studios, Fluid Mastering, reverbnation.com, and all products, people, corporations, individuals, businesses, and/or any and all other copyrighted material, and all original owners. I do not own anything in this blog. If any people, corporations, businesses, companies, etc, were not previously given credit for their work, they are given credit now and their previous absence was unintentional. All opinions expressed in this blog are my own. I wrote this blog for entertainment purposes and no copyright infringement is intended. celindareyesblog February 26, 2015 1 Comment on YouTube Wednesday: Hannah Jane Lewis…a new country music superstar has arrived. Category: YouTube Wednesday. Tagged: artist, Ben Ash, Benny Blanco, BenZel, blog, C2C Festival, country, Dan Waine, Dino Fetscher, ed sheeran, facebook, Fluid Mastering, For The Record Productions, Gareth Cobb, Hannah Jane Lewis, instagram, Island Records, Jessie Ware, Life Skills Education, London Sundance Film Festival, Lyric Street Records, Mark Bright, Marty Williams, music, musician, new, O2 Arena, post, rascal flatts, reverbnation.com, Sam Johnson, Shaun Reynolds, taylor swift, The Fold Studios, Tommy Reynolds, twitter, Wall Street Journal, youtube. Hello people of the internet!!! On today’s ‘Monday Memos’ we are going to talk about the 2015 Grammy Awards (btw we guessed half of the winners correctly this year, yay!). This year the award show was full of unique performances, surprises, and of course, awesome awards. It was truly a night dedicated to music, and all that it represented this past year. The show was once again hosted by rapper/actor LL Cool J, who stated at the top of the show that he wasn’t going to perform an opening monologue so that there would be more time for the music. 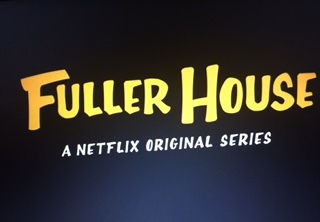 I thought that it was a really memorable show, and will definitely have us all discussing it the rest of the year. If you missed the show, or just want to relive all the moments again, then please read on as we recap the 2015 Grammy Awards! Now there were a lot of awesome performances this year, but I decided to pick the top 10 must-see performances to discuss with y’all. 10) Eric Church: Eric performed his hit single ‘Give Me Back My Hometown’, which is a fun song that brings out the nostalgia in us all. As always, Eric captivated his audience and never lost their attention. The backdrop of the stage had scenes of a town in a Sepia effect, which just added an air of coolness to the number. 9) Ariana Grande: One number that was really interesting was Ariana Grande’s emotional performance of her song ‘Just a Little Bit of Your Heart’. The emotional ballad had a very intimate vibe that definitely captivated fans. The staging consisted of really dim lighting, purple stage lights, and really cool white smoke that appeared half way through the performance. 8) Pharrell Williams: Pharrell began his number with a spoken word performance of the beginning of his hit song ‘Happy’. The number then changed back to the original arrangement, and included dancers in bright colored clothing & choir robes. Towards the end of the number, the attention shifted over to the small stage in the center of the auditorium, where Hans Zimmermann was showing off his out of this world piano skills. Definitely a number we’d all be happy to see again. 7) Ed Sheeran feat. John Mayer & Questlove/Ed Sheeran & ELO: Ed performed a sweet rendition of his new single ‘Thinking Out Loud’, and was accompanied by John Mayer’s EPIC guitar playing, and Questlove (the drummer of the band The Roots, who are Jimmy Fallon’s house band) on the drums. This was such an awesome pairing that I know we all have our fingers crossed for these artists to collab again soon. After ‘Thinking Out Loud’, Ed switched over to another stage and performed ‘Mr. Blue Sky’ with British rock group, Electric Light Orchestra (aka ELO). This was another unexpected, yet really awesome collab that left us wondering who Ed will work with next (because obviously he can work with anyone and it will sound awesome). 6) Miranda Lambert: Miranda performed her song ‘Little Red Wagon’, and definitely showed that country music can rock. She was in full rock star mode, with a performance that included lots of cool smoke and explosion effects, an interesting red sun decoration in the background, and lots of flashing red lights that definitely raised the energy of the room to full blast. 5) Hosier & Anne Lennox: Hosier started the performance with their hit single ‘Take Me To Church’ & was later joined by Anne Lennox, who also performed her rendition of ‘I Put A Spell on You’ (which was originally by Screamin’ Jay Hawkins). This was another high energy performance that had the audience captivated throughout the number…what can we say, they put a spell on us! 4) Katy Perry: Katy performed a truly angelic rendition of her song ‘By The Grace of God’, complete with a beautiful white gown. The performance followed a PSA by President Barack Obama, and a speech by domestic abuse survivor Brooke Axtell (the PSA and speech were in support of a new program called #ItsOnUs, which is an initiative to end violence against women & girls). This was truly a strong way to deliver this powerful message. 3) Paul McCartney, Rihanna, & Kanye West: The legendary Beatle joined Pop star Rihanna, & Rap star Kanye West for a performance of the trio’s song ‘Four Five Seconds’. This was such an amazing number, that really brought out the true talent of all three artists, and showed the magic that can happen when artists of different genres come together to create something spectacular. 2) Sam Smith & Mary J. Blige: Sam & Mary J. Blige left the room completely speechless with their duet of Sam’s hit song ‘Stay With Me’. The two artists used their amazing vocal talents to deliver a breathtaking performance that was one of the highlights of the night. What made this performance extra cool was the old school soul flair that the artists added to the overall vibe of the show; it definitely left us hoping that they will work together again in the future. 1) Sia feat. Maddie Ziegler & Kristen Wiig: The top spot of the night has to go to Sia for her beautiful performance of her hit single Chandelier. The number took place in a destroyed, dirty room, and showed comedic actress Kristen Wiig & Dance Moms star Maddie Ziegler performing the choreography from the song’s music video together. Although Sia & Kristen were INCREDIBLE, the star of the show was definitely Maddie. Seriously, she’s 12 years old and has already performed at the Grammys, how do you possibly top that!?! With such a HUGE start to 2015, I’m excited to see what this rising star does next. All photos and information used in this blog belong to the Grammy Awards, CBS, LL Cool J, Sam Smith, Darkchild, Beck, A Great Big World, Christina Aguilera, Miranda Lambert, Glen Campbell, Paramore, The Band Perry, GRAMMY.com, Eric Church, Ariana Grande, Pharrell Williams, Hans Zimmermann, John Mayer, Questlove, Ed Sheeran, Electric Light Orchestra, Hosier, Anne Lennox, Screamin’ Jay Hawkins, Katy Perry, Barack Obama, Brooke Axtell, #ItsOnUs, Sam Smith, Paul McCartney, Rihanna, Kanye West, Mary J. Blige, Sia, Maddie Ziegler, Kristen Wiig, Dance Moms, Lifetime, Capitol Records, Sam Smith, James Napier, William Phillips, Tom Petty, Jeff Lynne, Epic Records, Ian Axel, Chad Vacarino, Mike Campbell, Dan Romer, Julian Raymond, John Hartford, RCA Records Nashville, Frank Liddell. Chuck Ainlay, Glenn Worf, Fueled by Ramen, Warner Bros. Records, Hayley Williams, Taylor York, EMI Nashville, Capitol Records Nashville, Luke Laird, Jay Joyce, Rodney Jerkins, Paul “Hotsauce” Dawson, Alicia Renee Williams, I Am Other, Back Lot Music, Columbia Records, Jet Records, Jeff Lynne, Asylum Records, Atlantic Records, Amy Wadge, Jake Gosling, Audra Mae, Joe Ginsberg, Rubyworks Records, Island Records, Andrew Hozier-Byrne, Hozier, Rob Kirwan, Okeh Records, Herb Slotkin, Arnold Matson, Don Was, Mike Stevens, Greg Wells, Roc Nation, Westbury Road, Mike Dean, Tyrone Griffin, Dave Longstreth, Dallas Austin, Elon Rutberg, Noah Goldstein, Monley Puzzle, Sia Furler, Jesse Shatkin, Greg Kurstin, real.com, and all other original owners. I do not own anything in this blog. If any people, corporations, businesses, companies, etc, were not previously given credit for their work, they are given credit now and their previous absence was unintentional. All opinions expressed in this blog are my own. I wrote this blog for entertainment purposes and no copyright infringement is intended. celindareyesblog February 10, 2015 1 Comment on Monday Memos: 2015 Grammy Awards Recap. Category: Monday Memos. Tagged: #ItsOnUs, A Great Big World, Alicia Renee Williams, Amy Wadge, Andrew Hozier-Byrne, Anne Lennox, ariana grande, Arnold Matson, Asylum Records, atlantic records, Audra Mae, Back Lot Music, Barack Obama, Beck, Brooke Axtell, Capitol Records, Capitol Records Nashville, cbs, Chad Vacarino, Christina Aguilera, Columbia Records, country, Dallas Austin, Dan Romer, Dance Moms, Darkchild, Dave Longstreth, Don Was, ed sheeran, Electric Light Orchestra, Elon Rutberg, EMI Nashville, Epic Records, eric church, Frank Liddell. Chuck Ainlay, Fueled by Ramen, Glen Campbell, Glenn Worf, grammy awards, Grammy.com, Greg Kurstin, Greg Wells, Hans Zimmermann, Hayley Williams, Herb Slotkin, Hosier, Hozier, I Am Other, Ian Axel, Island Records, Jake Gosling, James Napier, Jay Joyce, Jeff Lynne, Jesse Shatkin, Jet Records, Joe Ginsberg, John Hartford, john mayer, Julian Raymond, kanye west, katy perry, Kristen Wiig, Lifetime, ll cool j, Luke Laird, Maddie Ziegler, Mary J. Blige, Mike Campbell, Mike Dean, Mike Stevens, miranda lambert, Monley Puzzle, music, Noah Goldstein, Okeh Records, paramore, Paul "Hotsauce" Dawson, paul mccartney, pharrell williams, pop, Questlove, r&b, rap, RCA Records Nashville, real.com, rihanna, Rob Kirwan, Roc Nation, rock, Rodney Jerkins, Rubyworks Records, Sam Smith, Screamin' Jay Hawkins, Sia, Sia Furler, soul, Taylor York, the band perry, Tom Petty, Tyrone Griffin, Warner Bros. Records, Westbury Road, William Phillips. Hello people of the internet!!! On today’s ‘Monday Memos’ we are going to discuss our predictions for who will win awards at the 2015 Grammy Awards! I choose 8 random categories (you can check out the rest of the nominees here: GRAMMY.com | The Official Site of Music’s Biggest Night) for us to look at, and added a few sentences why I think that these artists/songs will win. This is a really competitive year, so if y’all have any counter suggestions please let me know in the comments section below. Ready? Let’s go! You couldn’t escape this song in 2014, and we wouldn’t have wanted it any other way. Fancy received overall positive reviews upon its’ release, and was able to hold on to the #1 spot of the Billboard Hot 100 for 7 consecutive weeks. Ok, when an artist can release an album without any previous announcements or promotion, and the album debuts at #1…well that’s really awesome! The album sold so many copies within the first 3 days (828,773), that it has become the fastest selling album in the history of the iTunes Store…sounds like album of the year to me. This year Iggy became the fourth solo female rapper to ever top the Billboard Hot 100 chart, the first female & non-American rapper to be featured on XXL Magazine’s annual Top 10 Freshmen cover issue (an issue that names the top 10 up an coming rappers, that is credited for giving any rappers the exposure necessary to become instant stars) also, she joined the Beatles as the only acts to ever have their debut Hot 100 at #1 & #2 simultaneously, she also passed rapper Lil’ Kim as the female rapper with the longest-leading #1 single on the Billboard Hot 100. Yeah, she definitely seems to have the tile of artist of the year locked down. This song (which features 3 really big stars) has gone triple platinum in the U.S., and had the 3rd largest sales debut for a song in 2014. Bang Bang also played non-stop on all mainstream radio stations ALL year in 2014, so it’s definitely a huge contender for this award. This song appeared as the theme song for Glen Campbell’s 2014 documentary I’ll Be Me 9which received numerous positive reviews), and is the final studio recording ever released from the legendary singer/songwriter. With a career that spanned over 50 years, and included: countless awards in music & film, a 2012 Grammy Lifetime Achievement Award, hosting a variety show entitled The Glen Campbell Goodtime Hour, and so much more than I can include in this post. Because of his extraordinary career, and the fact that this song is extremely awesome, I definitely think that he deserves this award. With singles such as: Automatic & Something Bad, we couldn’t get Miranda out of our heads this year. This album also made Miranda the first artist in history to start her career with five consecutive #1 albums. Platinum has also received nearly unanimous positive reviews from numerous critics. In the past year Miranda has been on a serious roll, so I don’t expect this to end anytime soon. Now this song previously won 4 Grammy Awards when it was originally released in 1968 (which proves how awesome the song is), and has gotten A LOT of radio play since it was released late this year. It has to be hard to cover such an iconic song from an extremely legendary artist (and the fact that this song appeared on that legend’s last project adds a little bit more pressure), despite all this pressure, The Band Perry really proved that it can raise to the challenge. Ok, you know that you were jammin out to this song all year! This was definitely a change of pace for this band; however it was a risk that really paid off for them. This song is also Paramore’s highest peaking song, made the album it appeared on (also entitled Paramore) this band’s first album to produce two Top 40 hits, and was certified Platinum in the U.S.
All photos and information used in this blog belong to Grammy.com, the Grammy awards, Island Records, Virgin EMI Records, Amethyst Charlotte Aitchison, George Astasio, Jason Pebworth, Jon Shave, Kurtis McKenzie, The Invisible Me, The Arcade, Parkwood Entertainment, Columbia Records, Ammo, Boots, Deail, Jerome Harmon, Hit-Boy, HazeBanga, Key Wane, Beyoncé Knowles, Terius Nash, Caroline Polachek, Rey Reel, Noah “40” Shebib, Ryan Tedder, Timbaland, Justin Timberlake, Pharrell Williams, Def Jam Records, Grand Hustle Records, Mercury Records, Lava Records, Republic Records, Max Martin, Savan Koecha, Rickard Goransson, Onika Maraj, IIya, Ariana Grande, Nicki Minaj, Jessie J, Glen Campbell, Julian Raymond, Big Machine Records, Miranda Lambert, RCA Nashville, Frank Liddell, Chuck Ainlay, Glenn Worf, The Band Perry, John Hartford, Paramore, Fueled by Ramen, Warner Bros., Records, Hayley Williams, Taylor York, Justin-Meldal-Johnsen, and all other original owners. I do not own anything in this blog. If any people, corporations, businesses, companies, etc, were not previously given credit for their work, they are given credit now and their previous absence was unintentional. All opinions expressed in this blog are my own. I wrote this blog for entertainment purposes and no copyright infringement is intended. celindareyesblog February 2, 2015 1 Comment on Monday Memos: 2015 Grammy Award Predictions. Category: Monday Memos. Tagged: Amethyst Charlotte Aitchison, Ammo, ariana grande, Beyoncé Knowles, Big Machine Records, boots, Caroline Polachek, Chuck Ainlay, Columbia Records, country, Deail, Def Jam Records, Frank Liddell, Fueled by Ramen, George Astasio, Glen Campbell, Glenn Worf, Grammy.com, Grand Hustle Records, Hayley Williams, HazeBanga, Hit-Boy, IIya, Island Records, Jason Pebworth, Jerome Harmon, jessie j, John Hartford, Jon Shave, Julian Raymond, justin timberlake, Justin-Meldal-Johnsen, Key Wane, Kurtis McKenzie, Lava Records, Max Martin, Mercury Records, miranda lambert, music, nicki minaj, Noah "40" Shebib, Onika Maraj, paramore, Parkwood Entertainment, pharrell williams, pop, RCA Nashville, records, republic records, Rey Reel, Rickard Göransson, rock, Ryan Tedder, Savan Koecha, Taylor York, Terius Nash, the Arcade, the band perry, The Grammy Awards, The Invisible Me, Timbaland, Virgin EMI Records, Warner Bros..
Hello people of the internet!!! 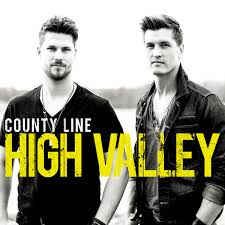 On today’s ‘YouTube Wednesday’ blog we are going to discuss a rising country music star that you will completely fall in love with (if you haven’t already). With a unique vocal tone that will win favor with fans of modern and classic country, SaraBeth is definitely an artist on the rise that you should all keep an eye on. So if you want to be one of the first to learn all about this upcoming star now (or if you already love her and just want to learn more) then please read on. I promise you will become completely obsessed with her music. SaraBeth is a country music singer/songwriter who was born Dallas, TX. Her music videos have been played in the music TV channels ‘GAC’ & ‘ZUUS’, and became the only top independent trending artist on CMT.com. She has also had the opportunity of sharing the stage with big names in country music, such as: Craig Morgan, Brantley Gilbert, Lonestar, and X-Factor Season 2 winner Tate Stevens. She had also participated in both the 2013 and 2014 City of Hope Celebrity Softball Challenge alongside country music artists Florida Georgia Line, Brett Eldredge and more. She has also appeared on a multitude of television shows including: Good Day Dallas, D The Broadcast (Dallas), Fox 26 Morning News (Houston), Great Day SA (San Antonio), More at Midday (Nashville), Tennessee Mornings (Nashville) and nationally syndicated radio show, The Bobby Bones Show, She released her first single ‘Under the Mistletoe’ to ITunes on November 8th, 2012, which is a fun, Christmas themed song that we will discuss later in the blog post. She later made a powerful debut with the release of her debut LP, ‘Anything Is Possible’, which was released to iTunes on October 29th, 2013. This album certainly proved just how talented SaraBeth is as an entertainer, and each song on the album could easily become a hit on country music radio. She released her sophomore project (an EP entitled ‘Kickin and Screamin’) on September 17th, 2012. 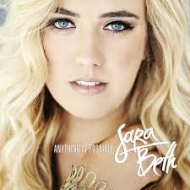 This EP not only continued to show off SaraBeth’s growth as an artist, but also proved that her artistry extending into songwriting (a very important skill for an entertainer to have). On August 5th, 2014 SaraBeth released her latest EP ‘Obsessive’ to ITunes. This EP has already received numerous positive reviews on iTunes due to the energetically spunky songs that can be found on it. This EP definitely shows that SaraBeth is more than ready to take the world by storm and take her rightful place among the elite in country music. According to SaraBeth’s website, success runs in her family. She has stated, “My younger brother was drafted to play pro baseball for the Cardinals, my dad recently wrote a book on motivation and inspires people all over the world, and my mom is the glue that holds us all together. With all these incredibly successful and driven role models in my life, I thought, how can I NOT go after this dream?”. Talk about a talented family! SaraBeth uploaded her first cover video (a cover of ‘Downtown’ by Lady Antebellum Downtown (Lady Antebellum Cover) [Living Room Sessions] – SaraBeth – YouTube) on May 14th, 2013. I really loved this cover because it was a fun choice that really showed off SaraBeth’s vocal abilities. She is immediately able to capture your attention, and this video also proves that SaraBeth sounds just as good live, as she does recorded (which admittedly is not a talent that every artist possess). I thought that this cover was a great introduction to SaraBeth’s music, and definitely left me wanting hear more. The next cover that we are going to discuss is SaraBeth’s cover of the Carrie Underwood hit ‘Blown Away’ (Blown Away – Acoustic (Carrie Underwood cover) – SaraBeth – YouTube). First of all, I have to commend SaraBeth for covering this song, because it is a ridiculously difficult song to cover. The notes in the song are very difficult to hit, and there is an extreme amount of technique and emotional depth that must be mastered in order to perform this song correctly. SaraBeth does a phenomenal job with this cover, and the fact that she performs it live just further proves that she is an extremely talented vocalist. I promise that once you listen to this cover, you will absolutely fall in love with her voice. The final cover that we are going to discuss is SaraBeth’s ‘Covers Medley’ (Covers Medley – YouTube), which was uploaded to YouTube on February 26th, 2014. However, the actual performance was given on the opening night of the Lonestar tour in Scottsdale, AZ a little bit earlier in 2014. The medley consisted of a diverse list of country music hits, which included: ‘Done’ by The Band Perry, ‘I Want Crazy’ by Hunter Hayes, ‘Friday Night’ by Eric Paslay, and ‘Wagon Wheel’ originally released by the band Old Crow Medicine Show (but was rewritten from an unfinished song that was demoed by Bob Dylan but never officially released). The song was popularized again in 2013 by Darius Ruckner who included a version of this song (with backup vocals provided by country trio Lady Antebellum) on his 2013 album ‘True Believers’. I really enjoyed this cover because we got to see SaraBeth performing in a concert setting, and the crowd really seemed to get into her performance. The song choices were also really well thought out, because the songs are current hits that a lot of people recognize, and they showed off SaraBeth’s fun personality and natural charisma on stage. This video definitely further impressed me. Now that we’ve discussed SaraBeth’s cover videos, let’s dive into her original music. The first single we are going to discuss is her video for her single ‘Under the Mistletoe’ (Under the Mistletoe (Official Video) – SaraBeth – YouTube). The song is a very fun, upbeat track that definitely puts me in the Christmas spirit. I really like that the song is Christmas themed, but it is also a fun song to listen to all year. The video is also really funny, because SaraBeth has various people dressed up in giant Gingerbread, Santa, and various other costumes. I don’t want to ruin the rest of the video for you, but it is certainly not your typical Christmas themed video (which is one of the elements that makes this video so amazing and fun to watch over and over again…trust me; you will watch it over and over again). The next video we are going to discuss, is SaraBeth’s official music video for her song ‘Kickin’ and Screamin’ (Kickin’ and Screamin’ (Official Video) – SaraBeth – YouTube). I really like the song because it is a very fun song that is perfect to listen to in the car or at a party. The lyrics are very catchy and easy to learn, and you will definitely have this song on repeat the second you hear it. I really enjoyed the music video for this song because it’s not your typical music video. The setting is different, and although the video does contain “trucks” (which we all know is standard in a lot of country music videos and songs), the trucks in the video are not the type that first come to mind. I don’t want to spoil the rest of the video, but I highly suggest that you all check out this video, because the hard work that was required to make it certainly shows. The final video that we are going to discuss, is SaraBeth’s official lyric video for her song ‘Those Memories’ (“Those Memories” – Official Lyric Video – YouTube). I chose this video, because by now we all know that SaraBeth is able to deliver a fun, high energy performance that will get you dancing, but I wanted you all to see that she is also able to tug at your heartstrings. I really loved ‘Those Memories’ because it was a very sweet song that really showed off SaraBeth’s ability to emotionally connect with a song (which is a VERY important skill for an artist to have). The video is very sweet, and has a slideshow of photos of SaraBeth as a baby, child, and teenager. I really love it when an artist is able to be vulnerable and honest with their fans, and this is exactly what SaraBeth does in this video. See, I told you that you would become obsessed! With a career that would make a lot of musicians jealous, it is obvious that Nashville (the hub of all country music greatness) as certainly taken notice of this rising talent. With the large numbers of talented hopefuls that often travel in and out of the city, it is no small feat to garner the type of attention that SaraBeth has been able to achieve. It is obvious that she is just a few steps away from becoming the newest country music phenomenon to burst onto the scene. Keep up to date with all the awesome things that SaraBeth is up to!!! All photos and information used in this blog belong to SaraBeth Beth, any and all companies, people, corporations, or any other person or business associated in any way, shape, or form with SaraBeth’s image, music, management, logo(s), music videos, wardrobe, makeup, or with her in any way, also any person or business associated in any way, shape, or form with: Lady Antebellum, Bob Dylan, Carrie Underwood, The Band Perry, Hunter Hayes, Old Crow Medicine Show, Eric Paslay, and Darius Ruckner, and any and all other companies, people, corporations, or any other person or business who deserve credit, soundcloud.com, Facebook, Twitter, GAC, ZUUS, CMT.com, Morgan, Brantley Gilbert, Lonestar, X-Factor, FOX, Syco Records, Tate Stevens, MLB, the Cardinals, ST. Louis, the state the state of Missouri, ITunes, all other original owners. I do not own anything in this blog. All opinions expressed in this blog are my own. I wrote this blog for entertainment purposes and no copyright infringement is intended. celindareyesblog August 20, 2014 No Comments on YouTube Wednesday: SaraBeth…the artist that will have you Kickin’ and Screamin’ for more music. Category: YouTube Wednesday. Tagged: Bob Dylan, brantley gilbert, carrie underwood, cmt, country, Darius Ruckner, Eric Paslay, facebook, fox, GAC, hunter hayes, itunes, lady antebellum, Lonestar, Missouri, MLB, morgan, music, Old Crow Medicine Show, SaraBeth, soundcloud, ST. Louis, Syco Records, Tate Stevens, the band perry, the Cardinals, twitter, x factor, ZUUS.